The fourth installment in the excellent Gears of War series is almost upon us, and it’s going to have the honor of being the first game in the Xbox Play Anywhere program. But this doesn’t mean it will look identical on both the PC and Xbox One; Gears developer The Coalition has promised that GOW 4 will come with a host of PC-exclusive features. Microsoft announced its Xbox Play Anywhere initiative at this year’s E3. It allows participating games to be played on both Xbox One and PC when bought digitally, and syncs save files and achievements across both platforms. With Gears of War 4, there was the worry that it would suffer many of the Universal Windows Platform (UWP) limitations seen in the recent Xbox One to PC title Quantum Break. According to Mike Rayner, The Coalition’s technical director, this won't be the case. Speaking in an interview with Eurogamer, Rayner said: "Our focus on PC is to deliver a highly optimized, customizable experience first and foremost." These PC-only upgrades include the single-player mode not being locked to 30 frames per second, dynamic resolution support, increased texture resolution (up to 4K for some groups), and a wide range of video settings. 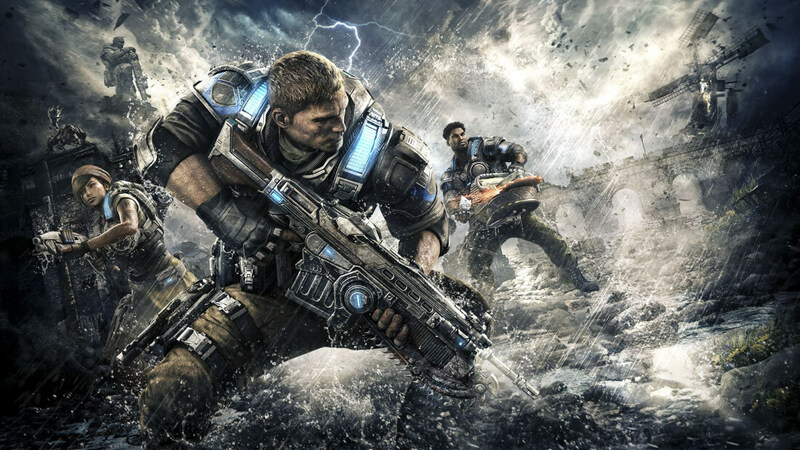 Additionally, Gears of War 4 will take full advantage of multiple CPU cores, feature mouse/keyboard support, and come with a benchmarking tool. All in all, this should feel like a game made for the PC, rather than another shoddy port. Gears of War 4 set will release on October 11th, 2016, for Xbox One and PC.